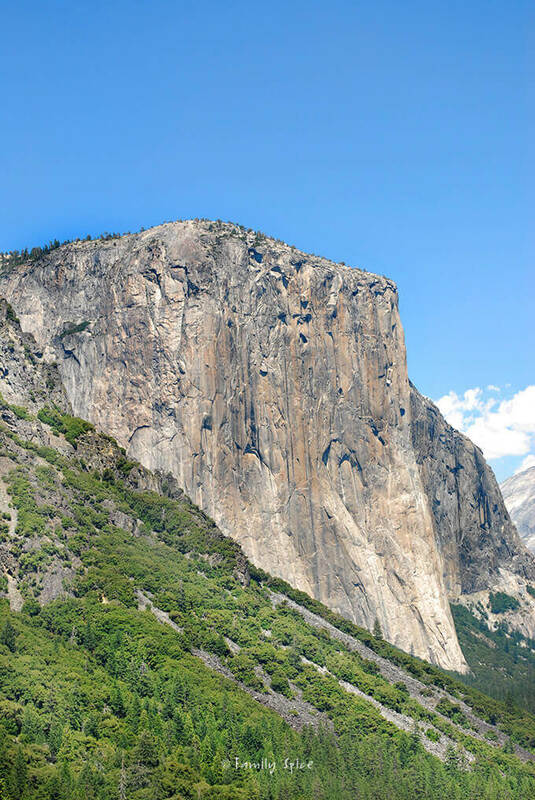 A visit to Yosemite National Park is a must, and these travel tips will make your trip even more amazing! Nestled in California, Yosemite National Park is one of those places that has to be on your bucket list, even if you are not the outdoorsy type. Everything about it is spectacular and over-the-top beautiful. There is so much to see and explore, and it changes magically every season. Luckily, my family and I have been there twice and I still want to go back and see more. 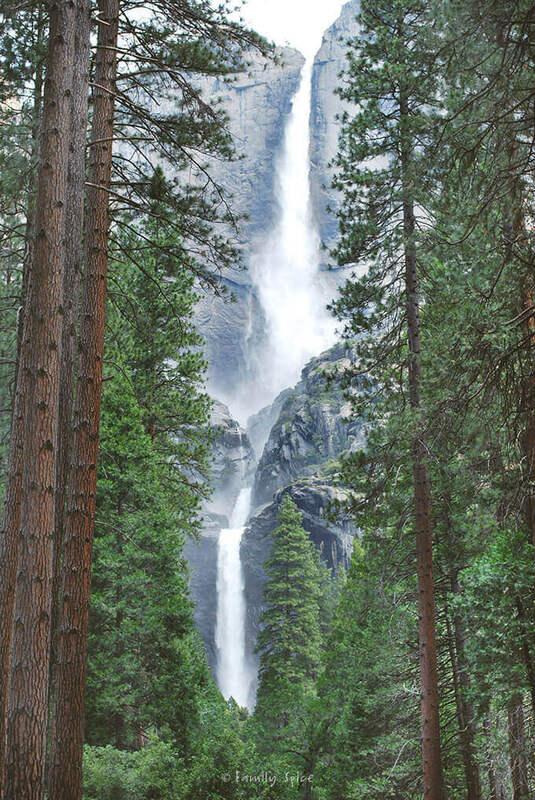 If you have never been to Yosemite, there is a place for every budget. From their fancy hotel, to their more affordable but just as nice Lodge, you don’t need a tent to enjoy thus beautiful place. Of course, my family and I camped in a tent, but you can easily bring your RV or stay in the many other lodging options that are more rustic than a hotel, but has more amenities than a tent. Wherever you stay, plan way in advance. Although there are some camp sites available due to cancellations, they do fill up within minutes of the opening of online booking 6 MONTHS IN ADVANCE. Like waterfalls? There are too many waterfalls to count here, but about 10 big waterfalls that most tourists love to hike and visit. No two years are alike, as the waterfalls are dependent on the previous years rain and snow fall. Remember, California is in a drought. Some summers, the once big waterfalls are just a mere trickle compared to the big falls you normally see pictured. 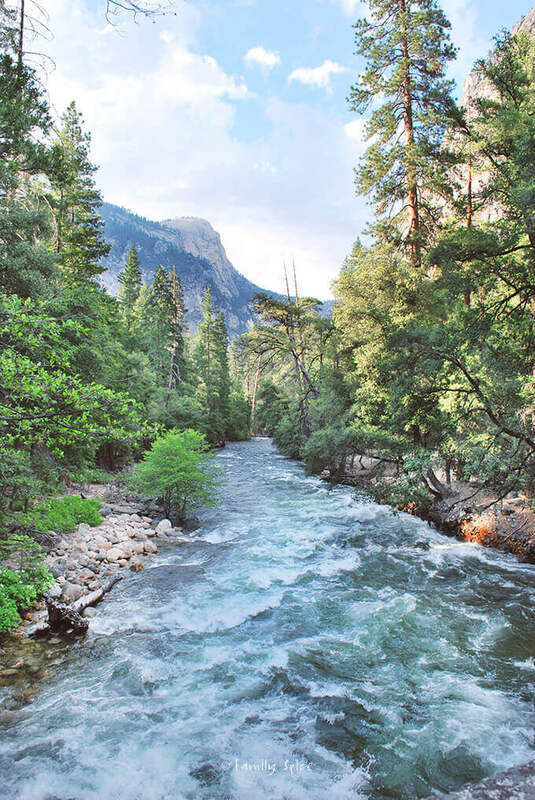 Besides waterfalls, there are creeks, rivers and lakes galore at Yosemite. hiked the waterfalls, splashed in the ice-cold rivers and lakes of Yosemite. The water, even during the summer is ice cold from the snow melt. But during those hot summer days, the water is super refreshing. There are lakes that are deep enough to jump in, creeks that are a few inches deep with water for the toddlers, and river rafting for you to cruise down and chillax. Like I mentioned earlier, if we had a good year of rain and snow, then rivers can be pretty powerful. The rangers will let you know if tubing is permitted. Safety is key when visiting Yosemite. So don’t forget your water shoes and PFDs (Personal Flotation Devices) especially during rainy years. But places like Mirror Lake, pictured at the top of this post, has no currents and is a very tranquil and relaxing place to enjoy. For the super adventurous, there are mountains to climb and rocks to hop. And those hikes around the waterfalls aren’t for the faint at heart. Some parts get slippery and you really have to pay attention or you could slip, fall and never be found again. You don’t have to be limited to one camping spot. You can also get lost and go backpacking. We camped with several other families and had a great time hiking together, playing together and sharing our meals together. There is wildlife at Yosemite, like deer and bears, but luckily the bears just want your food, not you. Each campsite has a bear locker to hide your food, and don’t be fooled. Those rascals really do have a great sense of smell. One night I forgot about some snacks I had in a swim bag and found the entire contents (including 20-dollars in numerous bills) scattered around camp. The snacks were gone. There are miles and miles of trails and roads to travel on in Yosemite. If you can, bring bicycles as it can help you get to wear you are going more easily. 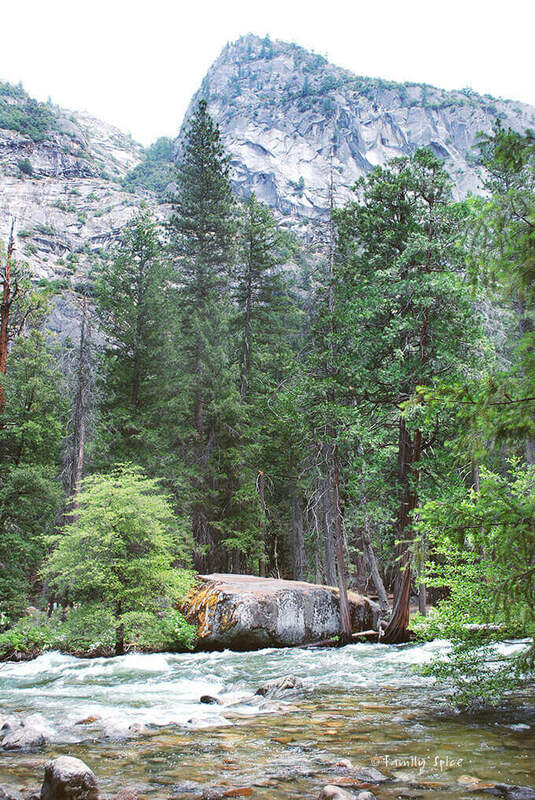 There are small markets and cafes in Yosemite, as well as restaurants in the hotels. 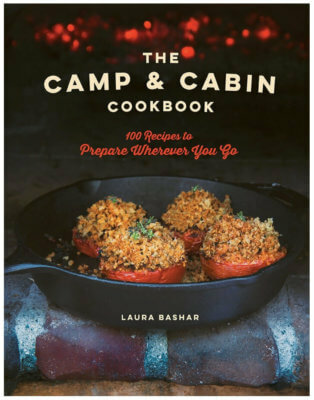 But since we are normally camping, of course, we bring our own food and cook over the campfire. Luckily the market had plenty of ice whenever we needed to restock. 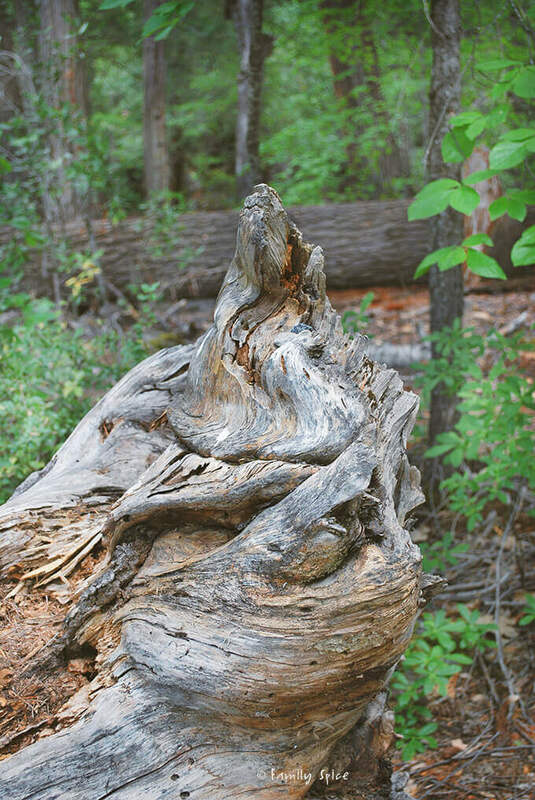 Every inch you can find something to wonder at while you visit Yosemite. From the moss on the rocks, to the lady bug crawling on a branch. I found myself taking strolls on my own with my camera, so I could capture as much as I could. All of these pictures were taken in July at Yosemite, but in two different years (one year had more water than the other). Friends of mine have visited during the winter months and the snow is breathtaking! One of these years, I’ll make it there to experience winter in Yosemite. Surrounding Yosemite is even more to see. 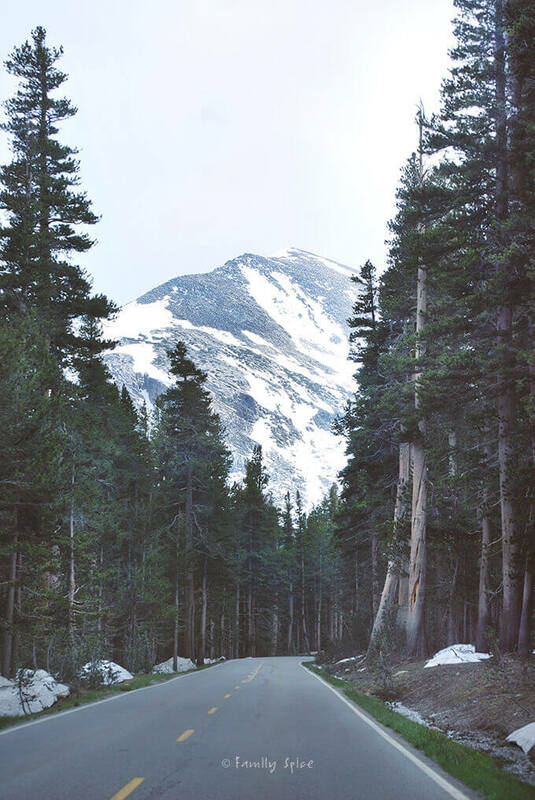 Only during the summer months can you drive through Tioga Pass. It is the eastern entrance into Yosemite and is typically closed November through late May or early June because of ice and snow. The elevation is just shy of 10,000 feet and even in July you can still find snow patches in this area. 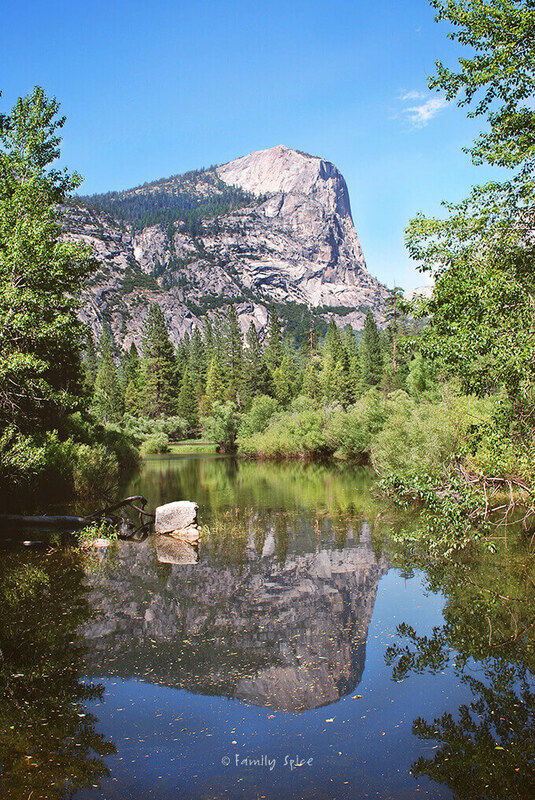 You can learn more about Tioga Pass here. Tioga Pass ends at Mono Lake, which is a large salt lake. 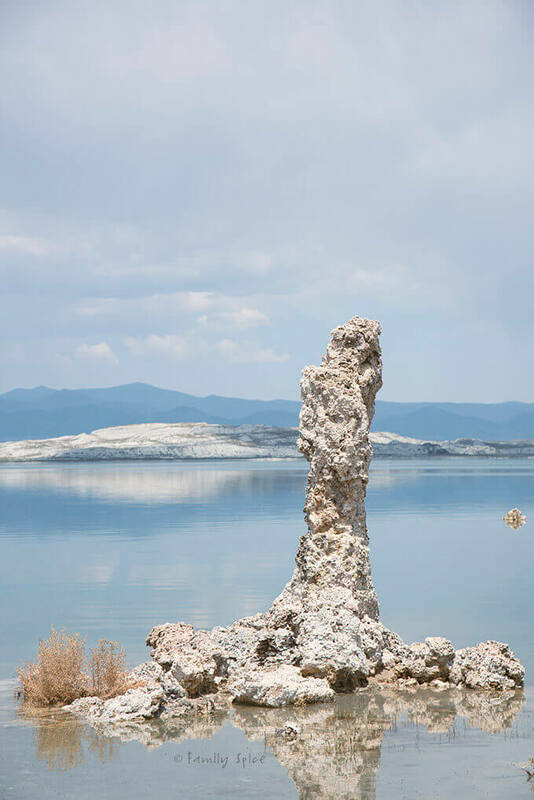 All over this lake tourist flock to see the Tufa Towers, these limestone towers that form over the water’s surface. It really is a site to see. And just south of Mono Lake is Mammoth Lakes, a gorgeous and sleepy ski town with even more natural wonders to explore any time of the year. 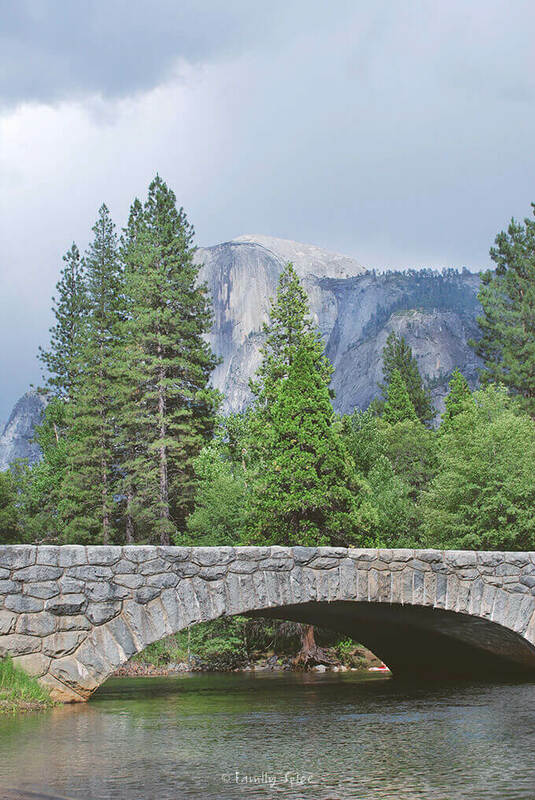 The southern entrance to Yosemite takes you through a small town of Wawona. 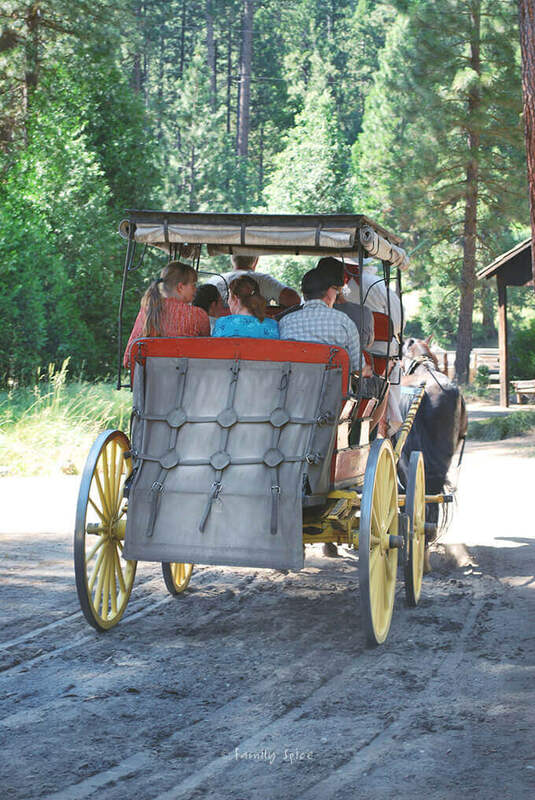 It may not look like much, but it has a wonderful Old West town for you to explore: blacksmith, horse and carriage ride, and some historic cabins. The Wawona Hotel is right there and it’s a great place to stretch your legs as the road to Yosemite is long and windy. And during peak tourist season, can be a slow ride. I love love love yosemite. great shots! thanks for posting something so fun! We stopped in Wawona when we left Yosemite. Beautiful little town! They had a little Old West town set up and we visited with a black smith who made us a hook and took a carriage ride. Kids loved it. I'll try to post those pictures soon. Cute little cabin! I'll tell my friends! You found the Pioneer History Center! They still host barn dances once a week. They had a fiddler and a person who called out the steps and everything. I became friends with the woman who "lived" in the settler home and made cookies for the visitors. Our cabin is about a 3/4 mile hike down the road. 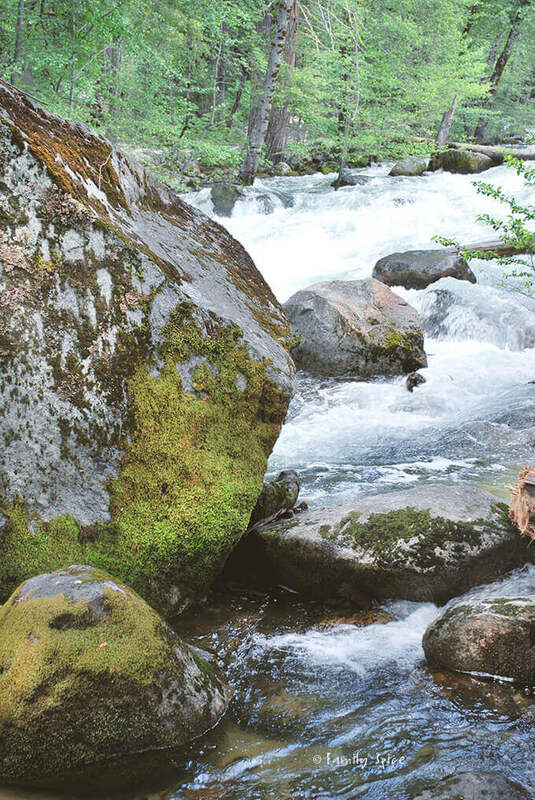 You can lay in bed and listen to the river. Awww… my favorite place! I came to the US to study about nature because I fell in love with Yosemite when I visited during summer in high school. It was a huge impact on me! I live maybe 5 hours away, but haven't visited since my kids were born. Thanks for sharing your pictures! What a stunning photo tour. We went to Yosemite years ago for a week long hike. I would love to go there with my kids and show them. I love photo tours.